(Light Intension for max power: 40,000 Lux. All solar panels’ outputs are totally decided by sunshine intension. , try to do this under direct strong sunlight. Note: The size and weight info will be different as per different designs and measure way. Note: when sunlight is weak, phones won’t charge. You need to pull off the charging cable and do new connection with solar panel to restart the charging. It works with all smartphones, but it’s works best on android. For Iphones, you will need to have stronger sunlight. If you have Apple/iPhone, we advice to choose our other Solar Charger with Restart Charging function. Please leave a message for the chosen color when ordering. Otherwise, the charger will be sent randomly as per current stock. ts output changes according by sunshine intensity. Stronger sunlight a more powerful output, and vice versa. When real use, you will get the current from 0A-1.5A in different conditions. Below we provide our test before sending. The short circuit current can be up to 1.37A. Voltage at no load condition is around 5V. Real test on machine. The standard test condition for the max power of solar panel is 40,000lux, 1.5AM, and 25 centigrade. The machine will simulate this condition. Make sure you place all 4 small panels under direct sunlight – avoid shadow as it won’t charge! Around noon is normally the best time of the day. But please take into consideration different factors like location, weather, and other variables. Do not use early in the morning or late afternoon, sunlight may not be strong enough. 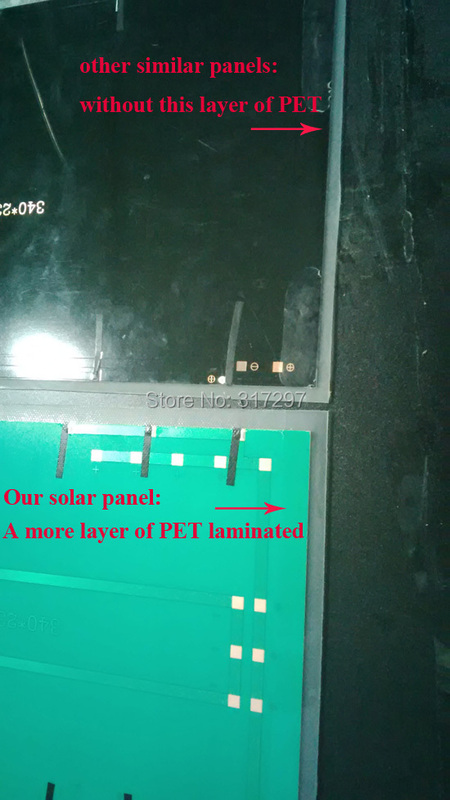 monocrystalline solar panels, polycrystalline are the low-end short-life panels. We are always responsible to our products and we do care about buyers satisfaction, we will never do fake or lower quality panels. We may not provide you the lowest price, but we do promise the best quality. 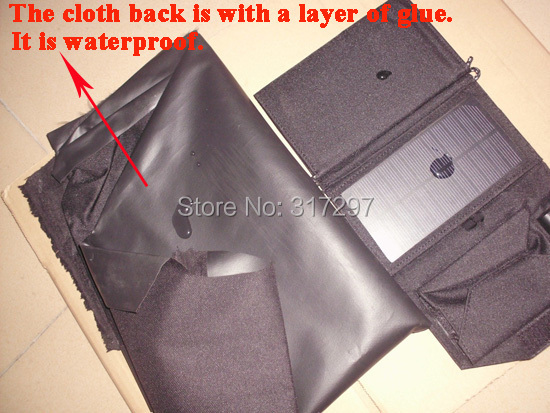 Most parts of the solar bag are handmade. It takes time and labor. Other copied items are usually made in non-ethical ways.